We offer a wide range of bar code scanners made by the world’s leading bar code reading solutions provider - Symbol Technologies. 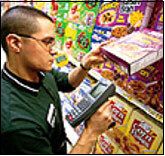 Our scanners feature high quality, durability, versatility and maximum scanning efficiency. 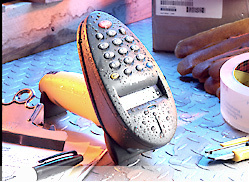 Using our scanners makes it possible to manage data in logistics, manufacturing, warehousing and distribution. This allows you to increase flexibility, performance and to reduce costs. Our solutions help to increase efficiency through the whole chain suply. Stores, hospitals, schools, warehouses and manufacturing facilities are the places which can benefit from our bar coding solutions.